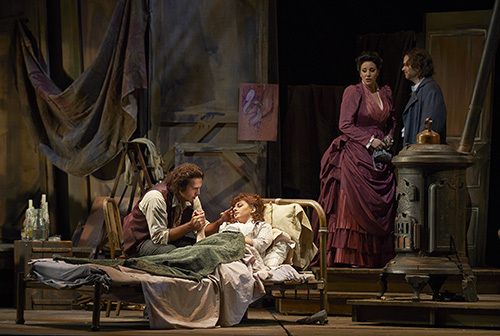 Don't miss a moment of La Bohème! 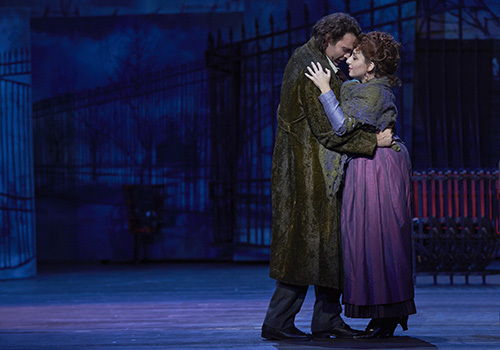 The lovers (Mimì/Rodolfo & Musetta/Marcello) in the COC’s La Bohème share their thoughts on their roles, the music, and the beauty of Puccini’s most popular opera. The music of La Bohème completes and enhances a simple but beautifully sad story. The text isn’t complicated, keeping with the distilled nature of the characters, but Puccini’s rich score gives fullness to the drama, suggesting everything that is left unsaid and simply felt from the heart. As an actor, it is a tremendous joy to bring Rodolfo to life through the interactions with his best friends and with his love, Mimì. My favourite moment of La Bohème is when we first see Rodolfo and Mimì falling in love. In the music we hear all the modes of a new love, from the nervous fumbling through the ardent palpitations and declarations. There is a moment in the duet, “O soave fanciulla,”when both voices come together in a truly climactic explosion of passion that everyone in the theatre will experience! Whether you are an opera neophyte or a seasoned aficionado, chances are you have experienced La Bohème’s beautiful music and heart-wrenching tale in some fashion – be it with a full production, excerpted highlights, or perhaps that aria on the radio that you can’t quite name, but know intimately. A repertoire staple since the company’s inaugural season in 1950, the COC is thrilled to bring a brand new Bohème to its stage under the direction of Tony-award winning director John Caird.